We worked with local retail store, Anime Pop, here in Addison, TX to track the impact of Pokemon Go Lure drops on their business over the weekend. There were a few hiccups with the game servers crashing but all in all we were able to get 10 Lures dropped and track the impact of those 10 lures on the foot traffic and conversion rate of new visitors into customers. The store itself is a Pokestop and is in a strip mall along with other stores such as a Wich Which, which is next door. The Anime Pop staff kept careful track of customers walking into and around the store. 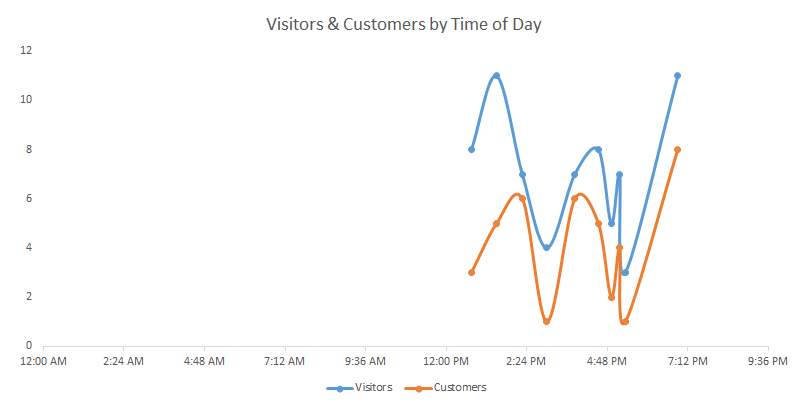 While the Lure was active the staff tracked all new visitors walking into the store who were also playing the game and then tracked whether or not those new visitors made a purchase. The staff did not track the actual purchase price for each new customer. What we discovered was a bit shocking, 57% of Pokemon Go players who visited the store while a Lure was dropped made a purchase. According to the store’s management this resulted in a noticeable increase in foot traffic (71 visitors) and an improvement in overall sales volume, though they did not share specific details on revenue. They did, however, tell us that their average product sells for $40. Using that we can deduce a little bit about Pokemon Go’s impact on their weekend revenue and extrapolate an estimated Return on Investment. They tracked 41 new customers over Saturday and Sunday, during times when the game servers were not offline, that purchased at least one product. If those 41 new customers only purchased one item each and at the average product price of $40 then the store made an extra $1,640 over the weekend simply for being a Pokestop. The store did not pay for a single Lure, they were all ‘dropped’ voluntarily by visitors to the store playing the game and hoping to catch more Pokemon. But if they had paid for the 10 Lures it would have cost them a meager sum of only $10 giving us an estimated ROI of 16,300%. The data Anime Pop collected shed some light on other things too. For example on the weekends Pokemon Go players were most likely to be active between 12:45pm and 2:30pm on both days and then on Sundays between 4:30pm and 7pm, though we believe that will apply to Saturdays as well if and when the servers quit crashing. Here we see only the game playing visitors and customers during the time period when the store was open and lures were being used. This combines time data from both Saturday and Sunday. 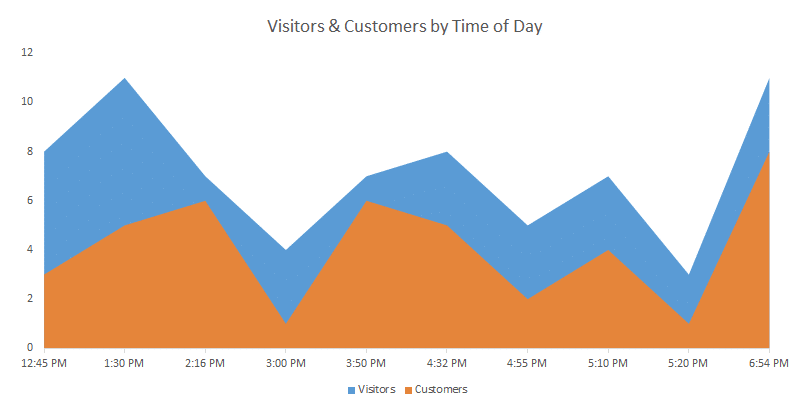 Pokemon Go visitors are also most likely to turn into a customer between 1:30 and 4:30pm on both Saturday and Sunday and another spike of new customers towards the end of the evening between 5pm and 7pm. In total Anime Pop saw 57% of their game playing visitors turn into a paying customer. Anime Pop is lucky enough to have an audience that meshes well with the players of Pokemon Go. This audience helps them by dropping the Lures themselves, meaning it costs the shop nothing more than normal operating costs, but even if it did they would have spent a total of $10 on the marketing in this study. Their estimated revenue of $1,640 (remember coming from average product cost and estimated at 1 purchase per new paying customer) gives them a total estimated ROI of 16,300%. What does this all mean, well if you’re lucky enough to be a Pokestop it means you’re hopefully enjoying a boost in sales with an incredible ROI. If you’re not lucky enough you might start trying to think of ways to become one, though it’s not possible at the moment. Not because Pokemon Go players are your target demographic but because after a few weeks of being on the market (Wednesday we’ll hit the 2 week mark), the game and it’s mechanics have become familiar with over 21 million American consumers and that definitely has game developers paying attention with rumors and jokes about other gaming titles using this same format flying around the web. It also could be the catalyst Augmented Reality has needed to get going. It’s even possible that future consumers will not find your business on a social network like Facebook or on a search engine like Google but by using some form of Augmented or Virtual reality in which your store or place of business holds some significance. A cool piece of art like statues, paintings, mosaics, light installations, etc. Adventurous tourist attractions – think lookout towers, observatories, signs or markers atop mountain peaks, etc. In short your place of business needs to have unique art or decor, be historical, be really popular with the locals, or be something tourist would travel to see. As a local business you can try to ‘hack’ this and future proof yourself for augmented and virtual reality by investing in interesting art, improving your service quality and getting really great reviews online, and by creating an interesting atmosphere with design inside and outside of your store. If you’re in a shopping center make sure you ask the owners of the property to invest in sculptures for the area as those seem to have done really well in making their way into becoming Pokestops. In Pokemon Go quite a few Pokestops are based around things that no longer exist, such as Durango Trading in Dallas, TX which was responsible for 3 Ingress Portal locations and now Pokestops in their shopping center. The store has since moved to Forney, TX (East of Dallas) and their Pokestops are completely empty leaving players confused as they wander around. If this is a common issue Niantic, the developers of Pokemon Go, will want to refresh and update their location database, which means a window of opportunity could be open soon. We’re planning a larger scale study of businesses that are Pokestops soon and will have that data when it’s ready. 57% of visitors who come to a local business that is also a Pokestop due to a Lure being active are likely to become customers. ROI of attracting Pokemon Go players to become customers is phenomenally high at 16,300% due to the extremely low cost of attracting customers to a Pokestop. 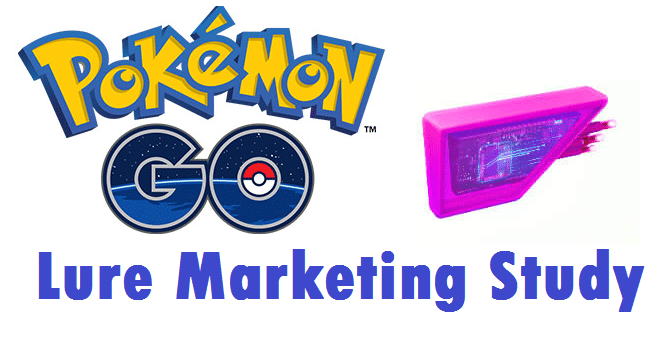 Business who are not a Pokestop need to future proof their marketing for a potential onset of Augmented Reality gaming and applications by becoming more noteworthy locally as a place of interest. © 2019 Winner Winner Chicken Dinner. All rights reserved.